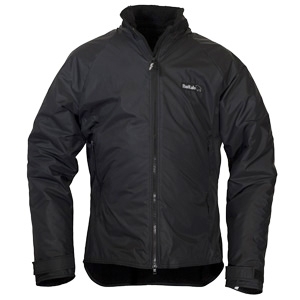 The Buffalo Belay Jacket is a iightweight, breathable insulated jacket suitable for year-round outdoor activities. Made from the same materials as Buffalo's Mountain and Special 6 Shirts, the Belay Jacket works in exactly the same way. The pile lining insulates the torso whilst quickly wicking away moisture, minimising excessive heat loss. The Belay Jacket's Pertex 6 outer is windproof and abrasion resistant and although not waterproof, should resist light-medium rain. Cut shorter than a Special 6, it carries all the usual features such as velcro cuffs and velcro attachment for Buffalo's hoods. • Single two way zip front.